The Emergency Department of the Nell J. Redfield Memorial Hospital provides acute-care assessment, treatment and referral for patients suffering from life-threatening illnesses and injuries each year. Our hospital works closely with the Oneida County EMT's and the Oneida County Ambulance Service to make sure we provide our community with the best emergency care possible. 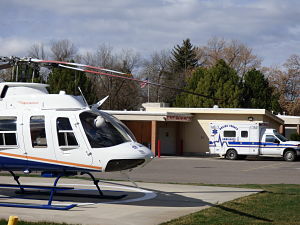 We also work closely with the regions emergency flight services; we have a Helipad on-site.